How will we get our energy in the future? How can we master the threat of climate change? And how can medicine help us respond to demographic change? Researchers at the Helmholtz-Zentrum Geesthacht Centre for Materials and Coastal Research (HZG) are developing concepts that will provide answers to these questions. Scientists in Geesthacht and its sister location in Teltow do research on high-performance materials for the cars and airplanes of tomorrow and for implants in regenerative medicine. They work on new types of membranes for reducing CO2 emissions and producing biogas and study hydrogen as a possible green energy carrier of the future. The Material Research focuses on magnesium and titanium aluminide, two materials with great promise as lightweight structural materials. Scientists at the Teltow location investigate implants that can serve several functions at once and “intelligent plastics” like memory foam. These innovative biomaterials will new types of regenerative medical therapy possible. Today the Helmholtz-Zentrum Geesthacht is addressing current topics of interest for science, business and society. The centre uses its own instruments and measuring stations when it works with large-scale devices, such as the FRM II in Munich and the DESY in Hamburg, where the centre operates a total of seven beamlines. Coastal research deals with questions about the current state and transformation of our coastal regions. Scientists in this field strive to understand these changes in the climate and coastline and make that knowledge accessible to society at large. Much of their data comes from material flows in the marginal seas near our coasts and from the COSYNA coastal observation system. The Climate Service Center and the North German Climate Office play a key role in enabling the fast, secure transfer of this knowledge to society. The centre runs the Magnesium Innovation Centre (MagIC), the Assessment, Computing and Engineering Centre (ACE), the Centre for Biomaterial Development (ZBME) and the German Engineering Materials Science Center (GEMS), which are concerned with materials research. 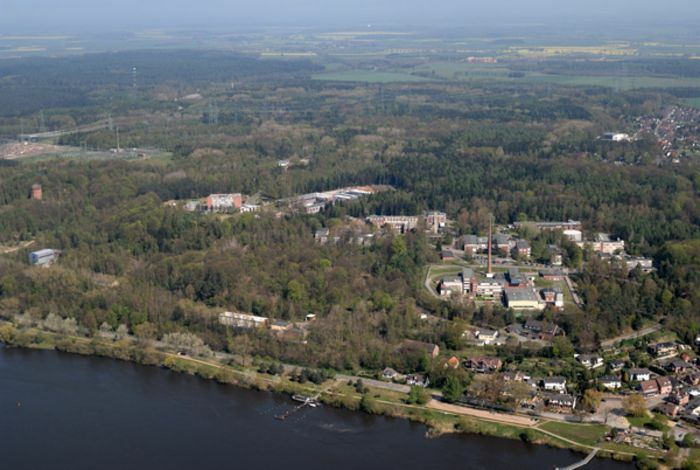 Coastal researchers are active in national and international networks such as the CLISAP cluster of excellence at the University of Hamburg and the Baltic Sea Experiment (BALTEX).